(ĐTTCO)-Vietnam’s capital market has grown over the last 20 years in market size and product variety. However, some constraints remain, especially the imbalance between the capital and money markets. There are two types of markets with different and complementary functions: the capital market (mid and long-term funding) and money market (short-term funding). The key part of the capital market is the stock market, which helps companies access funds directly from investors, rather than credit institutions. The money market is mainly run by commercial banks and other credit institutions. These two markets are connected, but operate under different mechanisms, and can be seen as two legs of the financial market. A legal framework is needed to connect the financial market and real estate markets, and to develop the roles of real estate investment funds. Vietnam’s stock market was established in 2000, but only started growing from 2006 onwards, posting particularly strong growth after 2012. Although the stock market size is small and yet to fund enterprises in an optimum manner, it operates stably and shows solid growth compared to neighboring countries, where they are very volatile. The banking system is at least 10 years older than the stock market, and has experienced remarkable growth. However, the rapid pace of the banking system also created many macro risks. Over 2011-2013, the bad debt issue and significant illiquidity status of some banks caused instability in the national economy. It took a lot of time and effort by the government to resolve this problem. It had to create the VAMC to buy the bad debts and allow banks to function normally again and it promoted mergers and acquisitions of weak banks. However, the banking system continues to play the key role in short and long-term funding. Banks are also the key buyers of government bonds. In the other words, the banking system is doing almost all the functions of the financial market. This is an imbalance that effects the development of Vietnam’s financial market. These issues have promoted the government to step up restructuring of the financial system, focusing more on the stock market and the corporate bond market. The Prime Minister issued Decision 1991, aiming at significant reforms over the 2017-2020 period. It has to be said that the government has achieved some good results. First, from 2001-2015, for every unit increase in GDP, the economy required 2.5-3 unit increases in credit growth, but this ratio declined to 2.2 in 2016-2018. In 2019, a GDP growth of 6.9% is expected, while the credit growth is planned at 14-15%. To develop the capital market, government management should move from administrative to market mechanisms. Second, the rate of success in raising funds through the stock market and bond markets has been increasing. 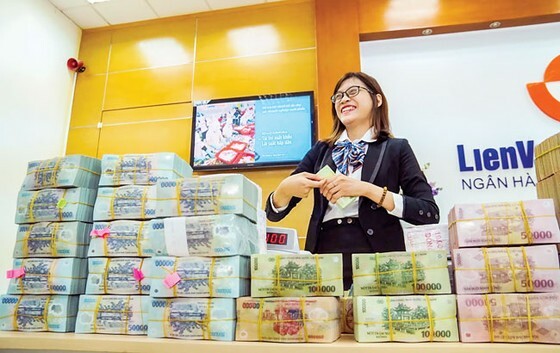 In first quarter of 2019, stock market funding was VND 80,000bn, an 18% YoY increase. The stock market capitalization climbed to 81.5% of GDP. Third, the terms of government bonds have been increased and the market- share of non-banking institutions has been increasing. The government is making a lot of effort to complete the financial market’s legal framework. Amendments have been drafted for the securities law. The stock market is being restructured and investment institutions are being encouraged to meet higher targets towards creating a balance in the growth of the stock market and the banking system. However, the amendments to the securities law and other related laws should be linked to the development of fiscal system and the restructuring of public debt and tax policies. The privatization of SOEs should happen in tandem with IPOs. The government should divest more from state-owned listed companies to increase the liquidity of their stocks.Stock market participants include suppliers, buyers and middle players. Vietnam has legal frameworks for them, but they are separate and not connected. Each player has different laws to abide by. The government should increase the independence of the State Bank in managing the money market. It should also build an autonomous supervisory institution for the financial market. Clear punishments should be added to the legal framework. Building a law regulating the operation of non-banking institutions is also necessary. This will help connect the capital and money markets. Vietnam’s stock market is still young and shows some signs of weaknesses. However, it is tending towards stable, sustainable growth. We feel confident that Vietnam’s stock market will soon be upgraded to an emerging market (from the current status of frontier market). When this happens alongside the development of the corporate bond market, a balance between the capital and money markets will be achieved. (ĐTTCO) - Gosu Blue, the precious masterpieces with blue-enamel Shimazu’s coat (a cross shape in the circle), is one of Satsuma’s most sought-after pottery artefacts. It had been produced limited in Tokyo since mid of 19th century, and ended production in 1872. Gosu Blue is also known as the typical pottery of late Edo period (1850-1870).